In this series, we will hear stories from the people that lived them, as told to me by them. We will be talking to people from all facets of the wrestling business, globally. The wrestling umbrella spans every continent, and I feel it would be remiss – and a disservice to not only the business, but the men and women that form it’s backbone – not to include international personalities, as well. We’re gonna get our start right here in the good ole’ U. S. of A., with a man that has worked all over the territorial map, and been in the business for the last forty years. He worked at CCW, in Central States, up north in Calgary Stampede, in Puerto Rico at the WWC, in Korea, Austria, Germany, Japan, and in WCW before it was dissolved. Rip Rogers is currently the head trainer for Ohio Valley Wrestling, and has worked with, and helped train some of the biggest names in the business. I talked with him last week about his early career, and path he took to break in. After growing up in Seymour, Indiana, he attended Indiana Central College where he played baseball and football. After graduation he went to work locally, teaching and coaching football. 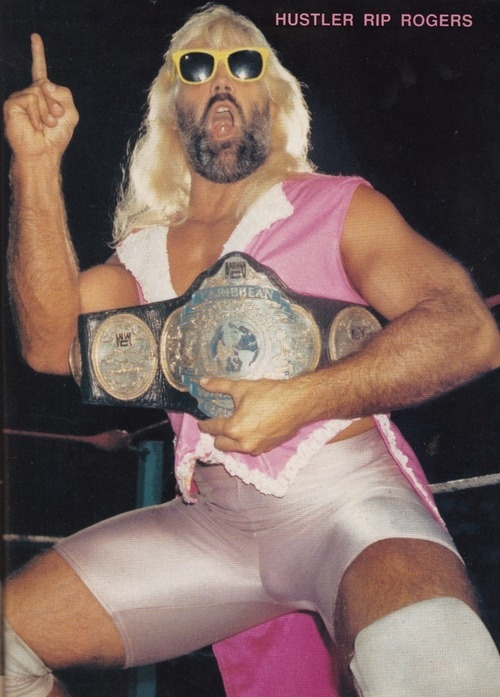 He was a huge fan of Jimmy Valiant, as well as being a member of his fan club. He had his sights set on the wrestling business, but in those days before before cable television you had to have an in, or know someone to get your foot in the door of a promotion. He decided to try writing Verne Gagne about securing a spot in one of his training camps in Minnesota. About a week later he received a letter from Verne himself, accepting him into the upcoming class, in November of 1977. The young man’s desire was stronger than his patience, and Rip decided to make his own inroads into the business. Living up to the ring name he would later adopt, Rogers hustled his way into a small wrestling gig that his friend and old football teammate, Tom Zupanic saw in an advertisement in the Indianapolis Star in the Spring of 1978. Zupanic would later be an alternate on the defunct 1980 Olympic Greco-Roman Wrestling team. The Olympics were boycotted that year because they were being held in Russia, and we, as a nation, did not compete in protest to the invasion of Afghanistan a year earlier. Yes, you read that right. The world was a different place back then, Bruthas and Sistas. He picked up on the ring work at a quick pace, and landed a spot on a local card, working under his real name of Mark Sciarra. When he got there it was apparent to him that he wasn’t as ready as he thought. He was totally ignorant of the lingo that was used in the locker room to describe the goings on in the match. The booker began to tell him that he was going to go over, and when it was time to go home. He was clueless as to what any of this meant. He just nodded like he knew and went along with crossed fingers and high hopes that he would be able to make his way through the match without screwing it up, or getting hurt in the process. It was during these formative years that he worked as a body builder, and won a few competitions he entered. 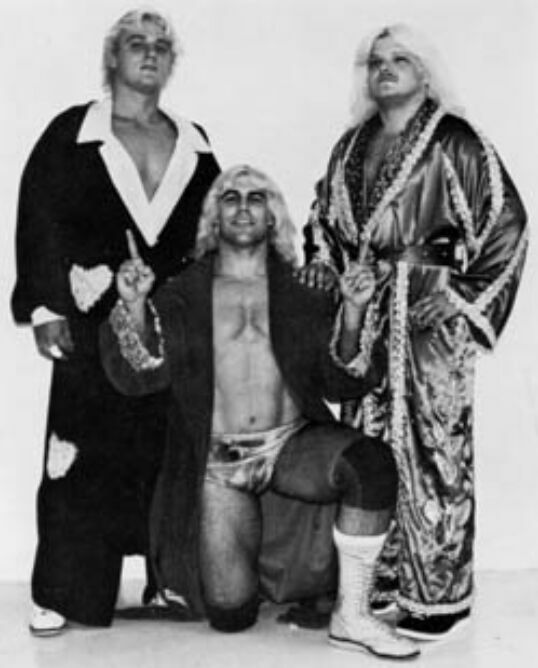 He also spent some time as chauffer for Jimmy Valiant and logged many long hours out on the road listening and learning from some of wrestling’s greats. After leaving ICW, he went on a tour of the United States, Canada, and into Puerto Rico as we noted at the beginning. He held tag titles and championships everywhere he went, and had a lengthy feud with Adrian Street in the Fuller’s Continental Championship in the Alabama Territory. He was also Caribbean Champion during his time with the Colons at the WWC. 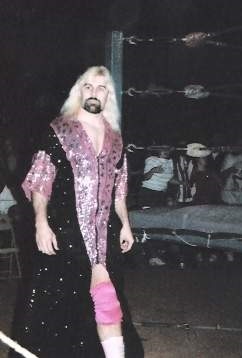 He continued his journeymanship to the WCW in 1991, where he later enjoyed a victory at the 1993 Battlebowl, as well as a substantial run against Brian Pillman while there. He made his way to Ohio Valley Wrestling in the late Nineties, and held the Heavyweight Championship there three times, and captured a trio of tag titles as well with Dave the Rave and his Suicide Blondes partner, Jason Lee. Traveling the roads finally caught up with Rogers in 2000, when he was involved in an accident that left him with a heavy limp in one leg due to the injuries he sustained. Just before the accident, he took on the job of head trainer for OVW, which he maintains today. He has some of the biggest names in the business today in his list of past students. Names like; Cena, Batista, Orton, Lesnar, Henry, Singh, Rhodes, Punk, Ziggler, Dillinger, Riott, are just a drop in the bucket of the numerous careers that Rip Rogers has had a hand in teaching. Rip Rogers knows this business as well as anyone I’ve ever spoken with. His knowledge of not only the techniques, but the psychology of the ring makes him an invaluable source of information for anyone that crosses paths with the man. I could sit and talk with him for hours on end, listening without a hiccup in time, because, for students of the history of professional wrestling like me, the clock stands still when a legend speaks. I hope someday that we run across each other out there at a show, or gathering, as I would love to shake his hand and tell him thank you properly for not only this spot we worked on, but for all the great memories he has given myself and so many others. I can vividly remember his coming to the ring in ICW, with the strut of a heel, and the bleached blond hair that made everyone take notice of The Hustler. I wanna thank Rip, as well as all of you out there for sitting down with me, and peering behind Oz’s curtain, into the land of professional wrestling, as we uncover it’s treasures in this new series. As always, I urge you to search out shoot interviews, and videos of Rip, and take the time to learn something from a true, sold school legend. Until next time, Bruthas, Sistas, Marks, and Maniacs…..no matter what you do to get your foot in the door, when you’re given the opportunity, break it down!! Peace.